Pentax supports it's own RAW format as well as DNG, right? 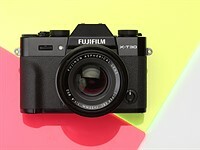 It will be interesting to see how much market share this camera gets, and how much of that is about the DNG format. ...one more step to getting Nikon and Canon to think of the industry! I've added that link to my own pages. second to sign it, and your personal information will stay personal. option (specifically Nikon and Canon). It's a start! Of course, the irony of your comment is, if you had the option to shoot DNG with either of the 2 cameras you mention, you'd be able to process them in any DNG supporting software, including CS3 or even CS2. not a game for me, at all. so you were saying about being ironic? you still don't see the point? and why I'm not willing to kid around about this? need to change like that. This would give you the option to use the camera files or the DNG file. Now, with only your camera files you are totally at the mercy of Canon. What here is giving Adobe control? and since it's my production that we're discussing about if you don't mind I'd rather rely on the manufacturer. if you don't have an agenda then a few seconds of your time and a little concentration will make it all clear. But if you have an agenda then don't expect discounts from me. I'm sorry if I said something that implied that. If the camera outputs DNG (whether as its only raw format or as an option) there is then no need to use ANY Adobe product. For example, a Pentax user can currently set the camera to use DNG rather than PEF, and then use the Pentax software which can read those DNGs (as well as PEFs of course). And there are 100s of other not-Adobe products that would be able to read the DNGs from Canons and Nikons. Then DNG is ideal for your purpose. There are no restrictions on who can develop software that uses DNG. It is the only genuine archival raw file format that currently exists. (Because it is openly specified). DNG contains extra metadata that described the sensor configuration and characteristics in more detail that CR2s and NEFs do. (That is why users of DNG don't need to upgrade their raw converters for extra camera models). So your future software of choice doesn't have to recognise the camera model (D1234 or 5678D) then have a look-up table of the camera details. The required camera details are in each DNG, so software can process DNGs from unfamiliar cameras. This will avoid a problem that you may otherwise encounter in future. Someone may develop a new software product in years to come that has all the features you want, but doesn't support all historical cameras. It doesn't matter with DNG, because it isn't necessary for software to recognise the camera model in order to support the DNG. But software typically DOES need to recognise the camera model when reading NEFs and CR2s, because they don't contain all the metadata needed. "I do not want to link my work to any adobe software , ever." "who are you? do you work for adobe?" Click my sig. link for the answer to that... and no, I don't work for Adobe. I shoot, I teach, and I write books. Right now, actually, I'm more interested in Smart Object RAW processing, (also an Adobe-specific process), and started revisiting DNG issues to address whether it would be wise to convert to DNG before working with the file as a Smart Object. My agenda? To impress camera companies with the market value of offering this, to them, fairly insignificant and inexpensive feature. So you're trading one proprietary format for another? It's not like Adobe has given away DNG to every software manufacturer like JPEG was. Just look at the fiasco and complaints about CS4 and RAW support in the Open Talk forum.